It's the time of the year where RunForFunds will once again run the Singapore Standard Chartered Bank Marathon and raise funds for the needy. 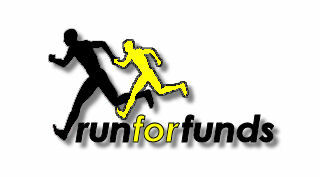 Below is the latest entry of the RunForFunds blog which I am mirroring to help spread the word. As usual, I am appealing to all my friends as well as fellow bloggers to help spread the word via a plug and/or mirror of this entry, or simply word-of-mouth to create awareness of this project. We hope that we are able to a) raise funds to continue our current projects. We skipped a year last year as we have sufficient funds to last a full year i.e. we only raise what is needed but not beyond. It is better to keep the house lean and clean, rather than having a fat reserve and end up with bad housekeeping like the recent spates of big charity scandals and b) inspire our fellow members of the community to start up similar projects and help more people beyond RunForFunds' limited scope and resources. p.s. Please let me know if you have plugged this on your blog so that I can add you to the list of appreciation in the coming Thank You For Supporting RFF entry. Yep, folks, I've decided to join the obese couch potato club. But seriously, this year's 42km run could be my 5th and my last. 1. The arrival of my baby daughter in Nov 07. Those of you who are parents can empathise with me. Where got energy to train between round the clock feeds (for the baby, not me)? 2. I'm using more ko-yok (medicated patches) than an 80 year old ah pek. I cannot but admit that age has finally caught up. My temple, I mean … body, is approaching ruins (like Angkor Wat). I've become rather injury prone and it take me longer to recover from muscle aches. Coupled my promotion to Papa-dom and demotion to Ah Pek-dom, the demand on my time training for the marathon becomes too much. (I typically have to spend an average of four 2hr sessions each week training for the run, 6 months a year). Ok, enough of my sob story …. Who knows, with blue pills and animals parts (yep, the unmentionables), I'm may be able to run the full 42km in 2008. Now, on to RFF 2007. This year, unlike other years, my Superfriends and I will be running to raise funds solely for D'Joy Children Centre @ Maude Road near Mustafa Centre. D'joy runs day care services for up to 120 children from ages 2 to 14 from the Jalan Besar neighbourhood. They cater to children from low income, single-parent or dysfunctional families. A number of them are referred by the MCYS (Govt agency that oversees social welfare amongst other things), social service agencies and schools with problems ranging from social behaviour, learning difficulties to physical and emotional abuses. D'joy receives no operational funding from the Government. Finances are raised through the nominal fees charged for daycare services, donations from well wishers and charitable organizations. However, the centre has struggled to make ends meet. The facilities are basic and to me, rather run down. Budgetary constraints limit the maintenance work that can be done. Recently, I found a good Samaritan in my friend Jerry O' Sullivan, who mobilized other good Samaritans to repair leaking toilets, rewire the lights and other repair jobs for free. If D'joy doesn't stay afloat financially, the good work that is done there ceases. The children lose a safe haven and will be left to their own devices and may be exposed to undesirable influences outside school. Click here to see D'Joy's write up by Donna Tsang, Centre Director. This year I look forward to your generous contributions to help D'Joy. I am cognizant of the fact that the funds raised may not keep it afloat long term if the finances are really that dire. However, every single day we keep underprivileged kids off the streets is a cause, I feel, worth giving to.